After watching my green Yoshi waddle around in a cow costume, I started to become suspicious. When red Yoshi jumped on purple Yoshi’s back, who happened to be wearing a wonderful train costume, I became absolutely certain. 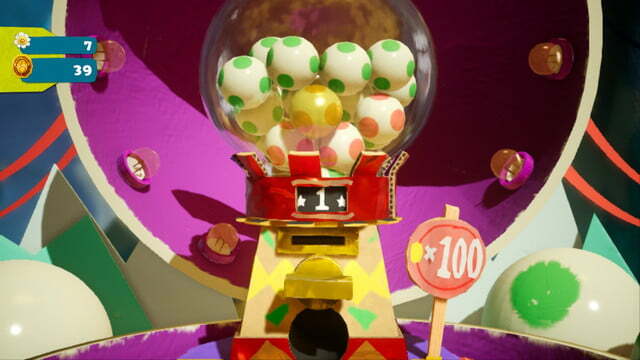 Yoshi’s Crafted World proved to me that the supposedly “Super” Mario is, in fact, a monster. Unlike that rotten wannabe plumber in Super Mario World, red Yoshi didn’t punch purple Yoshi in the back of his head. No, he just sat there looking as cute as ever, thankful that his fellow majestic dinosaur was willing to let him rest his adorable little feet for a few minutes. It’s no surprise that Yoshis of all colors have abandoned the Mushroom Kingdom and returned to Yoshi’s Island, a place as endearing as the smiles on their faces. 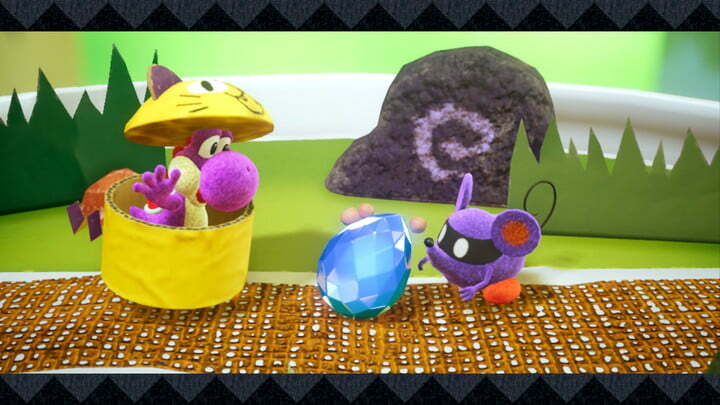 Though I am disappointed that the Yoshis have to take time away from their relaxing retirement to gather the gems of the Sundream Stone, and kick Kamek and Baby Bowser out of the home that, frankly, is too idyllic for the likes of them (and Mario, for that matter). 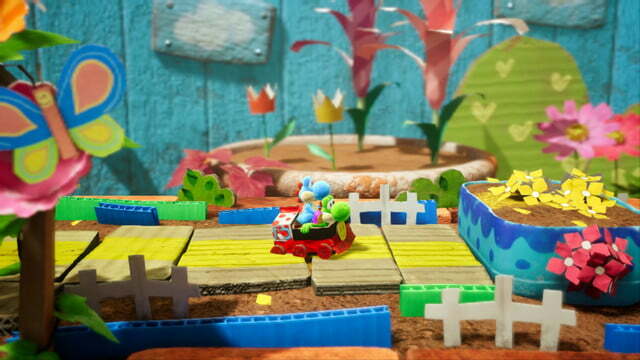 Yoshi’s Crafted World might just be the most charming game Nintendo has ever made. Not only is it ridiculously adorable, with its colorful cardboard and construction paper created world, but it has a rare pace to it. It’s all about relaxation and leisure. Almost all Nintendo platformers, even simple ones like the Kirby series, feel as if they are constantly propelling you to move forward. 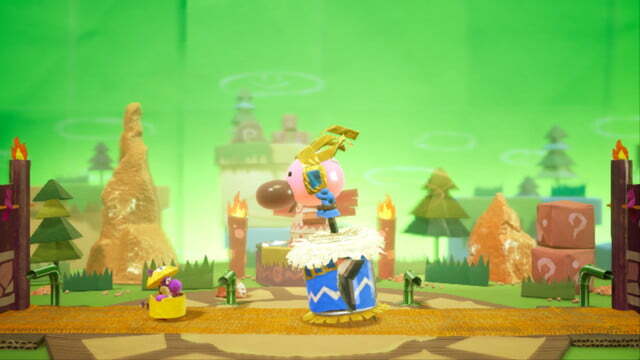 Yoshi’s Crafted World, rather boldly, asks you to stop and look around. Take your time and let this magical, idyllic world engulf your senses. There is no timer. Failing is virtually impossible, as even falling off the map only takes away a health point rather than killing you. This, of course, reminded me of how Mario routinely chucks Yoshi off of ledges just so he can jump further. 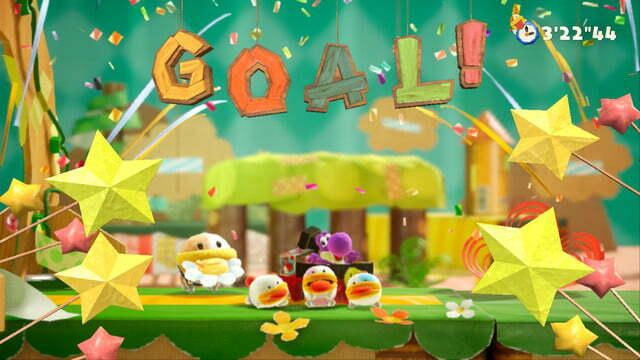 Checkpoints revive your health and the adorable costumes Yoshi dons increase his health. Even playing alongside an inexperienced player who rarely plays video games, we didn’t die a single time. 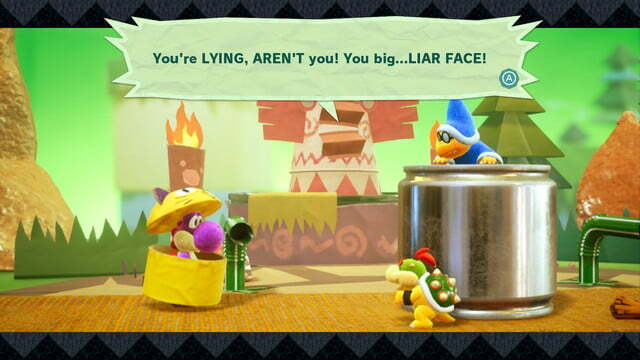 While some may argue that Yoshi’s Crafted World is too easy, I’d argue that the point of this game isn’t to trip you up on tough platforming sequences or boss fights. 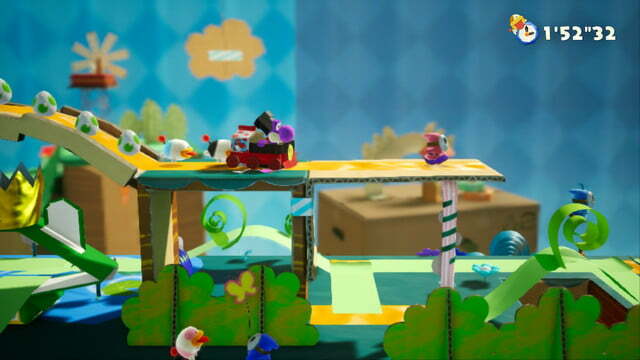 Yoshi’s Crafted World is all about smiles, exploration, and an appreciation for a design philosophy that encourages you to simply enjoy your surroundings. 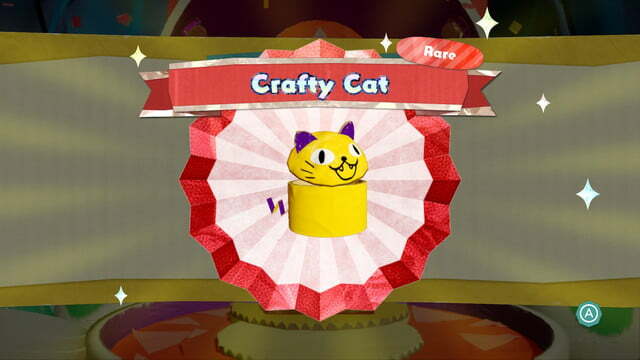 To find everything in each level, from flowers to red coins to the tiny walking stars, you need to take your time. And you’ll be happy that you did. The sheer brilliance of each level slowly reveals itself as you continue to peck away at your surroundings. Levels are also longer than the average Nintendo platformer. You can easily spend ten minutes in each one if you attempt to gather everything in your first go. Seriously, this game puts me in a state of bliss. The clever cobbled together world adds depth to sidescroller perspective. 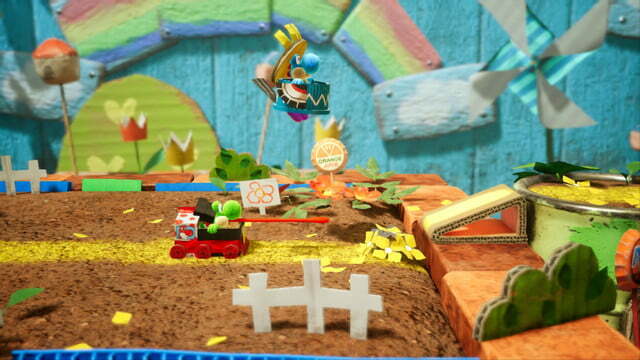 Each level has stuff going on in the background as well. 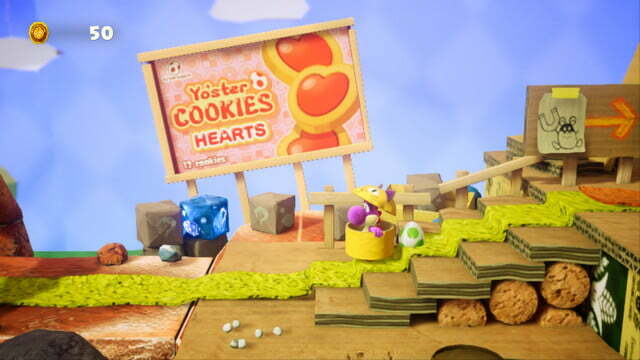 Whether that be collectibles behind cardboard trees, enemies holding rare red coins, or objects that are needed to progress further through the stage. Yoshi’s egg toss move lets you aim anywhere on screen: directly in front of you, off in the distance, or even towards you, the player. While it still largely feels like a 2D platformer, walking into the backdrops adds a level of depth that reminded me of Super Mario 3D Land. 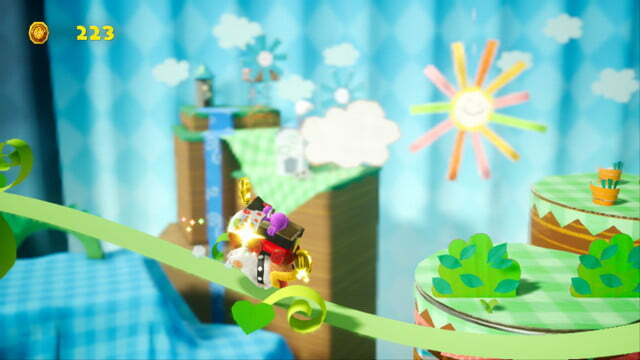 One of the neater aspects of Yoshi’s Crafted World is the ability to play levels in reverse. Each level lets you run backwards from finish to start in search of Poochy Pups, the most adorable little dogs ever to grace a video game. This is where the Nintendo charm becomes almost too much. When playing in reverse, you see the unpainted sides of plants and trees, the stitched together foundation of cardboard buildings, and the tape that holds objects together. I found this addition to be particularly endearing as not only does it reveal the illusion of this world’s craftiness, so to speak (I’m sorry), it also adds to the fact that the world looks like it was built by an imaginative child. Even some signs you come across feature the scribbles of a young child. The costumes, of which there are many, are a wonderful touch. Not all of them are particularly interesting. Some are just decorative boxes, but many are really cool. Some costumes even have a hat, and if you crouch, Yoshi totally disappears. 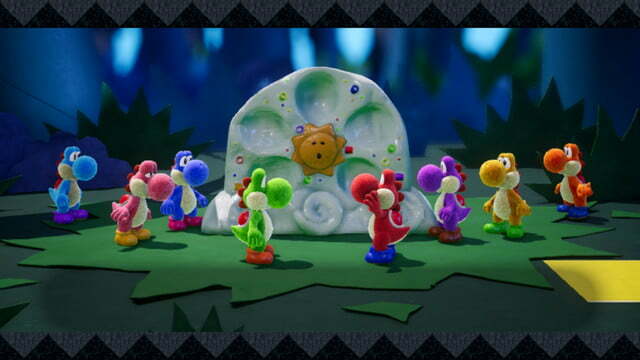 This is quite silly, especially when Yoshi is wearing one of the more off-the-wall costumes like a juice box. 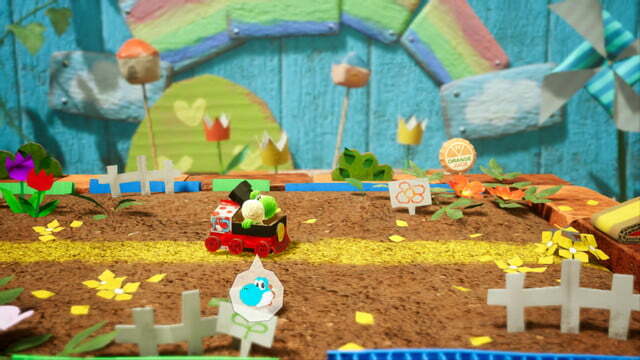 With local co-op, two Yoshis can wander through these levels together. While the game isn’t challenging at all, it’s nice that Nintendo designed co-op play to facilitate helping younger players. At any time, one Yoshi can hop on the other’s back. So if you’re going through one of the more challenging platforming sections, the experienced player can help a youngster through that. 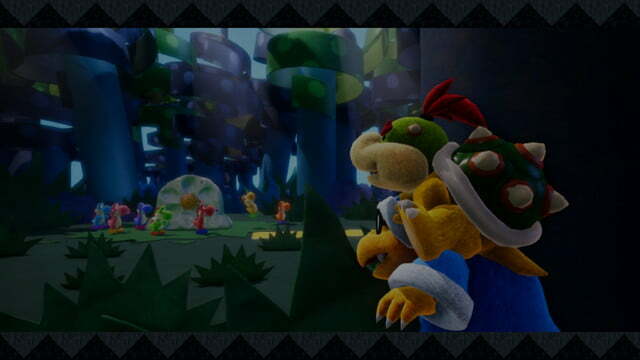 You can also, rather hilariously, use your co-op partner as a weapon with Yoshi’s spit attack. Yes, this requires you to partially eat your co-op partner. The notion that Yoshis could, in fact, eat their own kind is somewhat disturbing, but in my heart, I know that Yoshis get their nourishment from sunshine, rainbows, and organic, locally grown fruit. 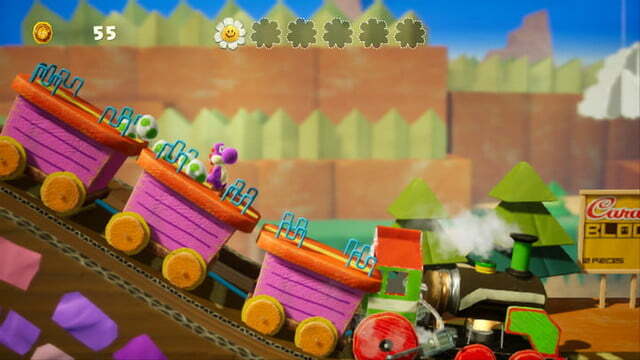 Yoshi’s Crafted World is one of the best games on Nintendo Switch, outshining Mario’s 2D platformer debut on Switch earlier this year (take that, Mario). It also happens to be the cutest. 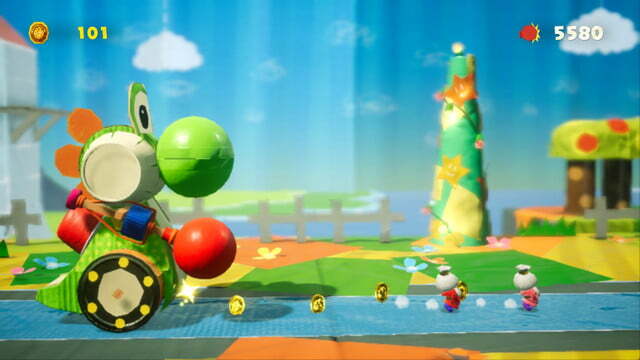 Most importantly, it’s great to see the Yoshis living their best life away from that wretched Mario.